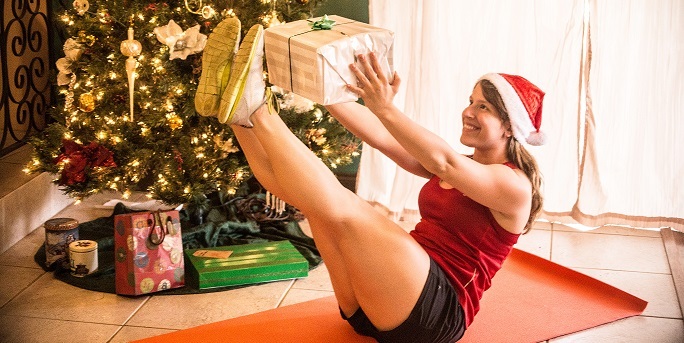 The hectic holidays should not get in the way of your exercise. Can holidays be stressful, busy and time-starved? Of course they can. But this doesn’t mean that a smart approach to your physical fitness should take a back seat to celebrating this special time of the year. The following 6 tips will allow you to enjoy your holiday revelry, while also seamlessly sticking to your exercise routine. 1 – Plan and perform traditional holiday activities all year long. Why wait until the holidays to go shopping for gifts and decorations? What’s wrong with planning your Christmas party or Thanksgiving dinner in July? Spreading your holiday tasks throughout the year means plenty of time for even the most intense exercise regimen. 2 – Why not wake up one hour earlier than normal? Hey, we get it. You consider the holidays as a time to sleep late and be lazy. But that’s not why you are exercising. Rising early 3 to 5 days a week to exercise and workout fills you with natural energy all day long, and doesn’t get in the way of your hectic holiday schedule. 3 – Pick your spots. You may regularly exercise for 1 hour at a time, 5 times a week. Due to an incredibly busy holiday schedule, you may have to alter that frequency and duration. Squeeze in 15, 20 and 30 minute sessions of exercise wherever and whenever you can to satisfy your weekly goals. 4 – Eat to support your workout. This means limiting the amount of unhealthy, nutritionally poor foods and beverages you consume. Drinking 4 cups of eggnog, gorging on sugar-filled holiday treats and finishing the evening with 3 or 4 glasses of wine or adult beverages is not conducive to fitness fuel the next day when you have planned to exercise. 5 – Don’t mentally flog yourself if you miss a workout. The holidays should be times of creating and sharing wonderful memories and activities with those you love and care about. So what if you miss a workout? Just remember holiday exercise tip #3, and make up that workup later. 6 – Get someone else involved. You are probably not the only person you know who struggles with sticking to an exercise routine during the holidays. So why not team up with someone else who is experiencing the same problems? Get a friend, coworker or family member involved in your holiday exercise plans, and you can help each other achieve your fitness goals.